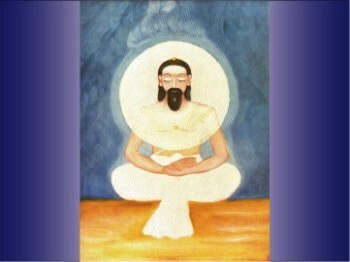 There is an inner mind, an inner vital, an inner physical consciousness which can more easily than the outer receive the higher consciousness above and put itself into harmony with the psychic being; when that is done the outer nature is felt as only a fringe on the surface, not as oneself, and is more easily transformed altogether. Only a little of the inner being escapes through the centres into the outer life, but that little is the best part of ourselves and responsible for our art, poetry, philosophy, ideals, religious aspirations, efforts at knowledge and perfection. But the inner centres are for the most part closed or sleep – to open them and make them awake and active is one aim of yoga. As they open the powers and possibilities of the inner being are also aroused in us; we awake first to a larger consciousness and then to a cosmic consciousness; we are no longer little separate personalities with limited lives but centres of a universal action and in direct contact with cosmic forces.